I went on a late-night acorn hunt for these little brown-capped nuts. Walking in the dark on a drizzly, wet October evening with a friend, flashlights in hand, we scoured the ground for these treasures. My boots were soaked all the way to my socks. Sadly we came up empty-handed. But the story has a happy ending: A neighbor of my friend learned of our acorn pursuit, via Facebook, & gifted us with a bucketful on his porch. 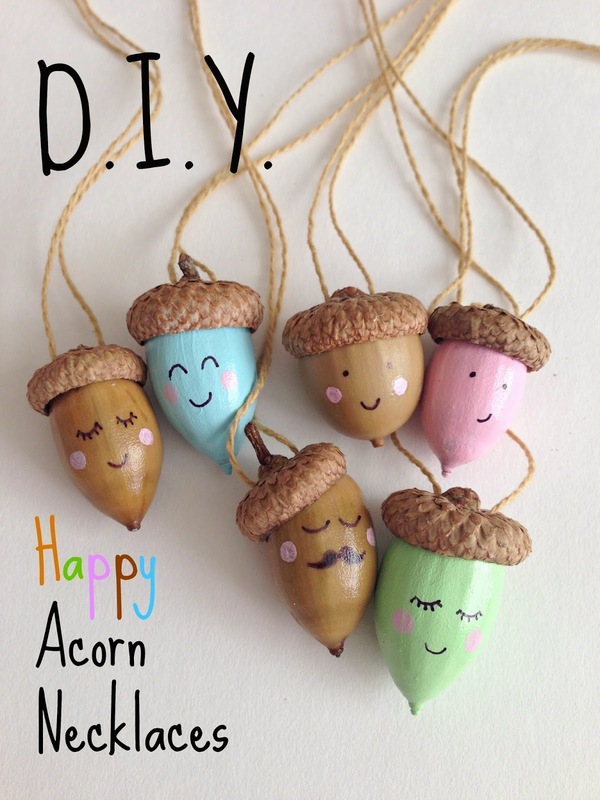 Score one for random acorn suppliers on social media! 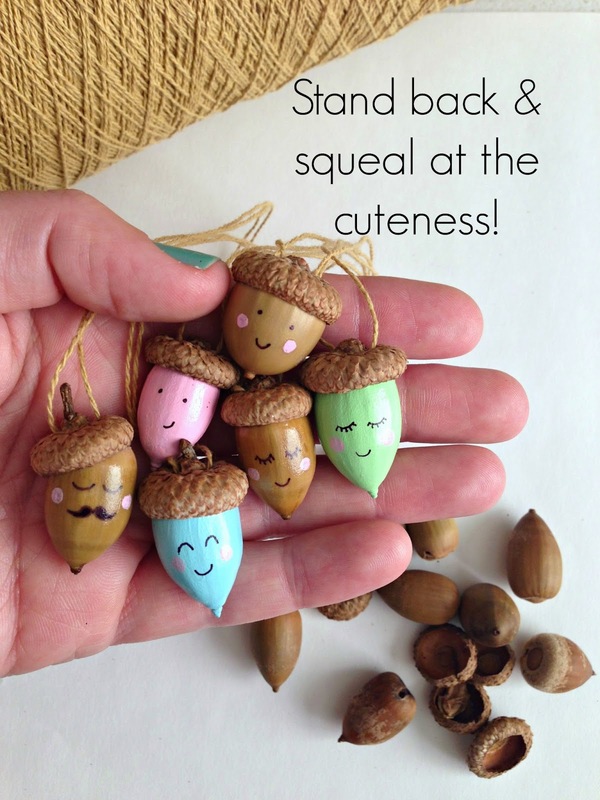 Immediately after making these Happy Acorn Necklaces, the girls each chose two of their favorites: one for themselves & one for a friend. When they returned home from school that same day, they reported that all their friends wanted one. 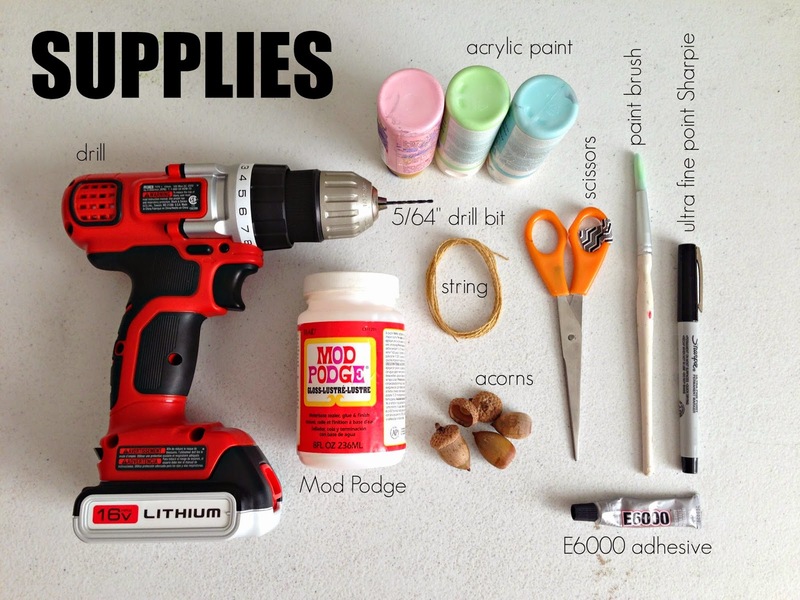 So when you make these necklaces, just make a slew of them to give away, because giddy girls across the land will want one. Promise. 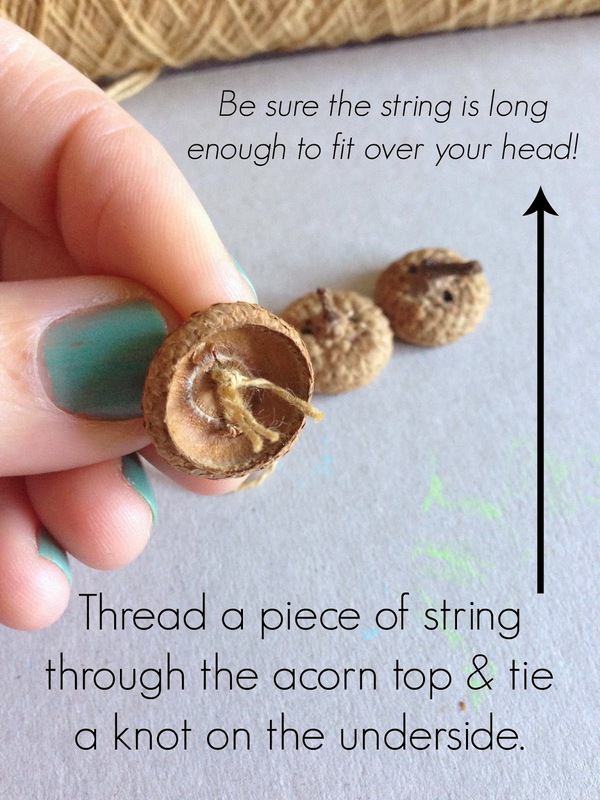 Or...make them on a shorter string & hang them on your tree as an ornament. Because, I think your tree wants one too. 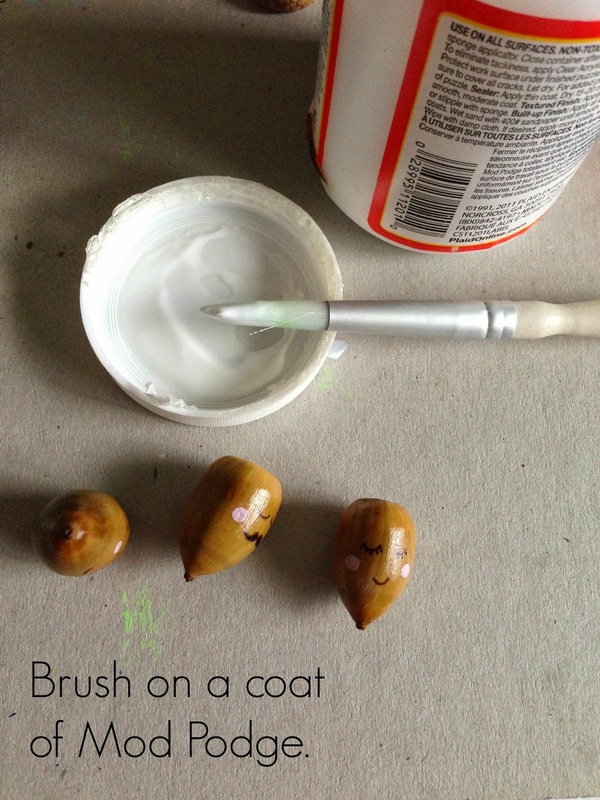 Before crafting with acorns, you'll need to make sure they get a little bath. Wiping VERY well with a wet paper towel works, but you can also soak them in a bowl of water, lightly scrubbing to get rid of dirt. Next, dry both the tops & bottoms in an oven. This helps to get rid of any bugs. 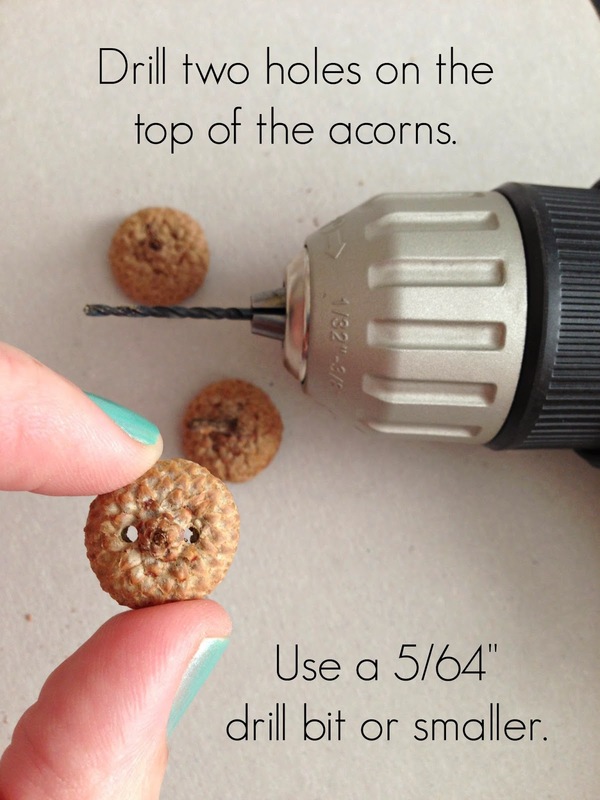 Spread the acorns on a foil-lined cookie sheet & bake at 175 degrees F for an hour. 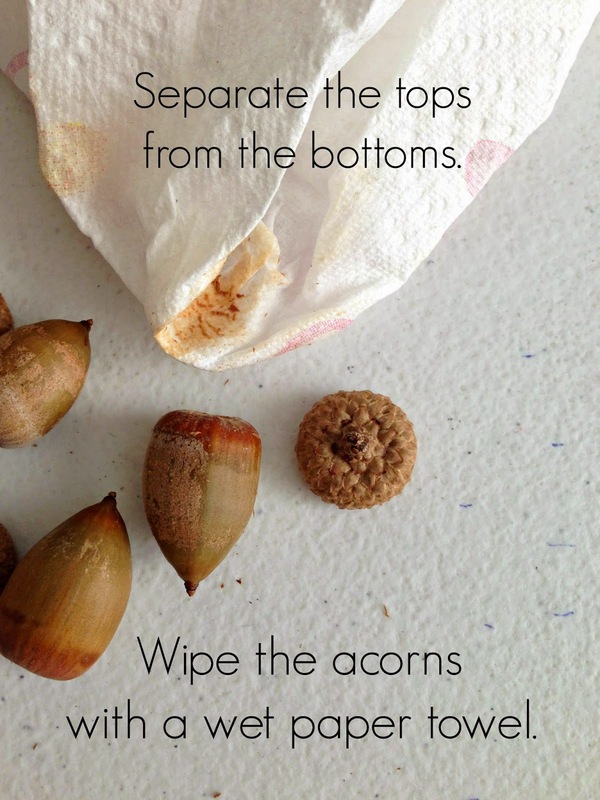 Be careful when you take them out---the acorns will be HOT! Let them cool before handling. I didn't have any bugs in my acorns, that I could see anyway. 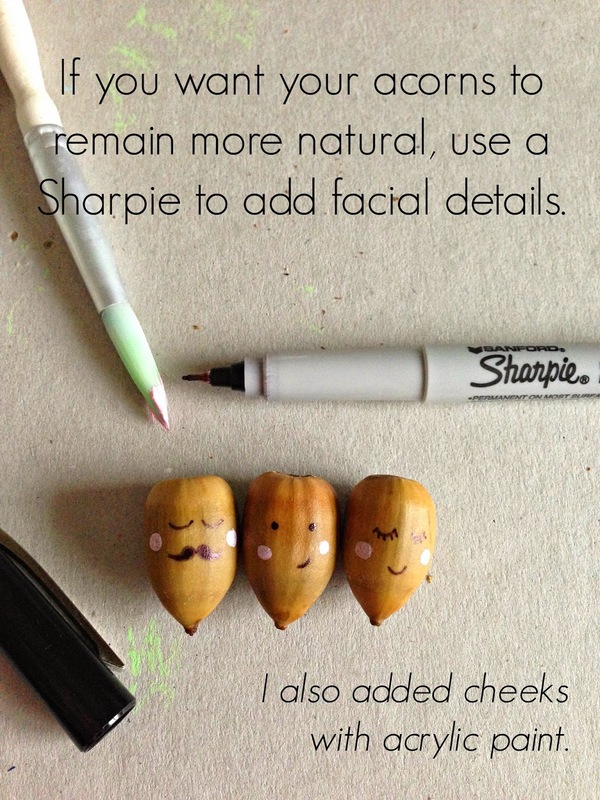 If you have, like, loads of little critters start crawling out of your acorns, then I don't know what to tell you. That's gross. I would run screaming, & just crank that oven to 500 degrees F & let those suckers burn up. And then get a new oven. 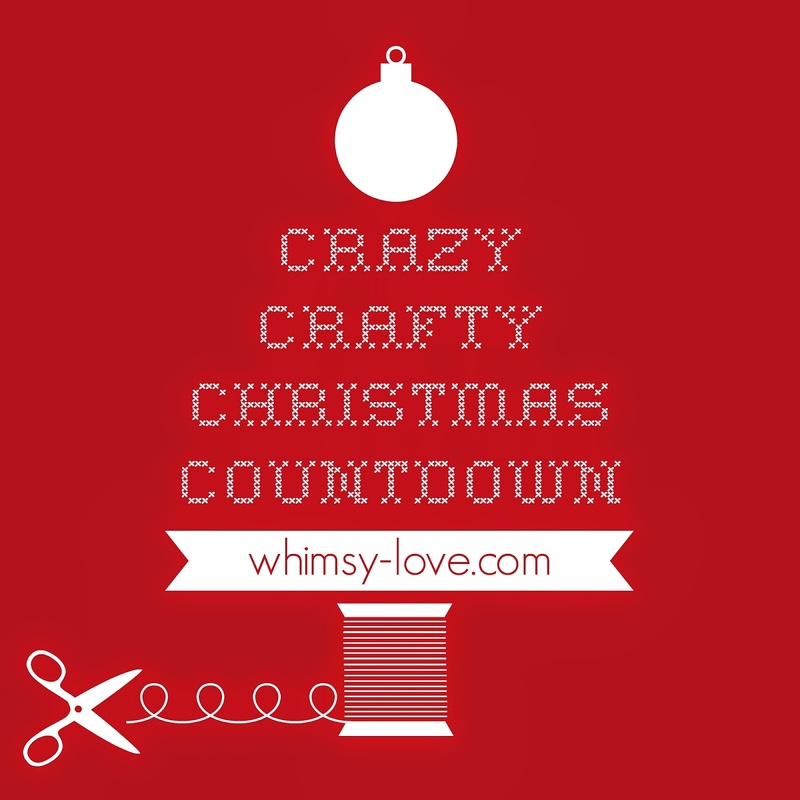 The Crazy Crafty Christmas Countdown is a D.I.Y. project every day through Christmas Eve. <3 it.. not sure my chef husband would let me use the oven... I would have to do it on the sly... and if there were bugs ... oh the Armageddon ... i'd totally be buying a new oven!!! Such fun! 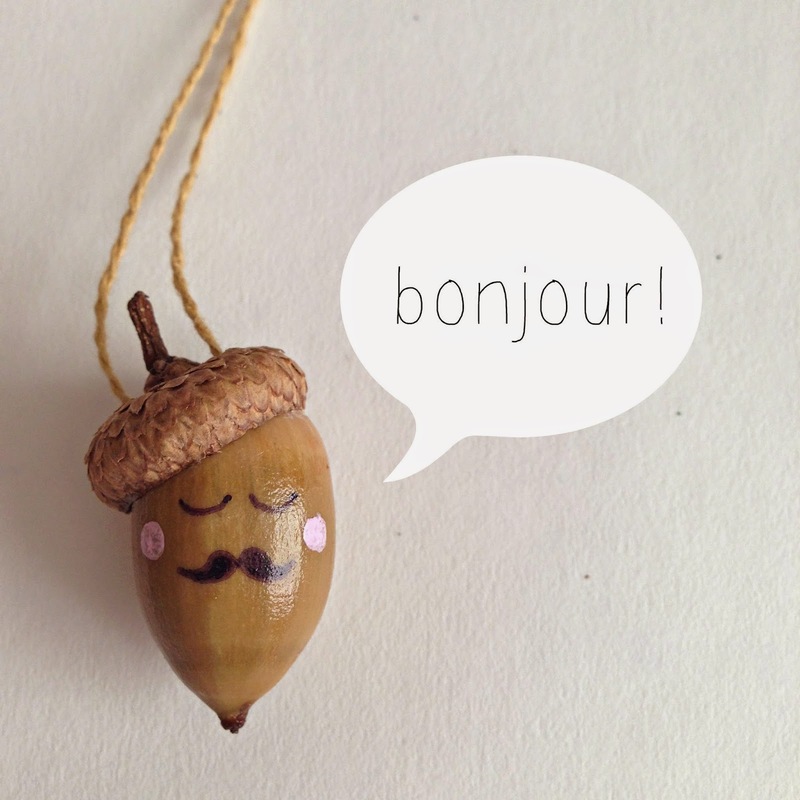 I love the tilted beret on Monsieur French Acorn! I love these and I agree about the bugs except instead of the new oven, we would probably have to move! 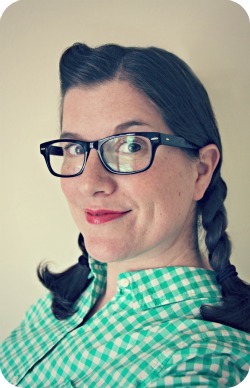 My 5-year-old daughter's nickname is Squirrel...I used to call her squirrely girlie...it's been shortened. 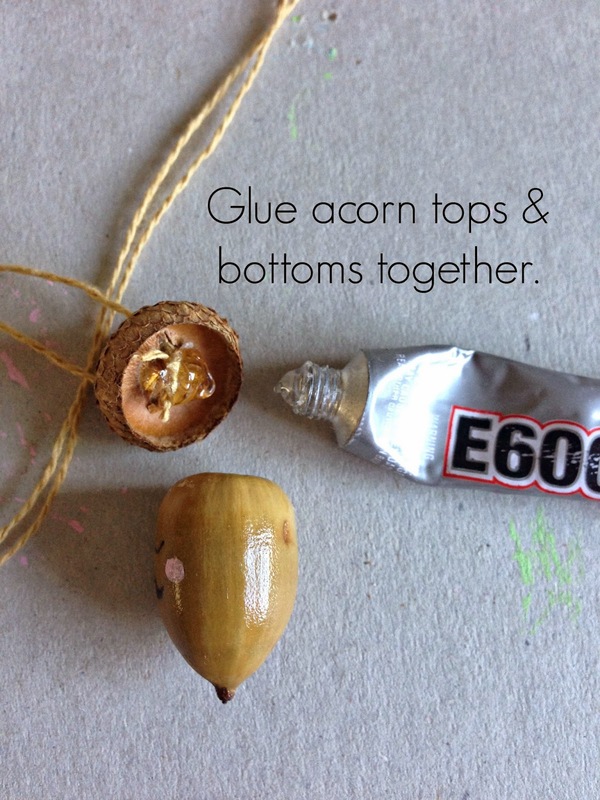 Anyway, I think the Squirrel needs a cute little acorn necklace! Thanks for the idea and the tutorial! 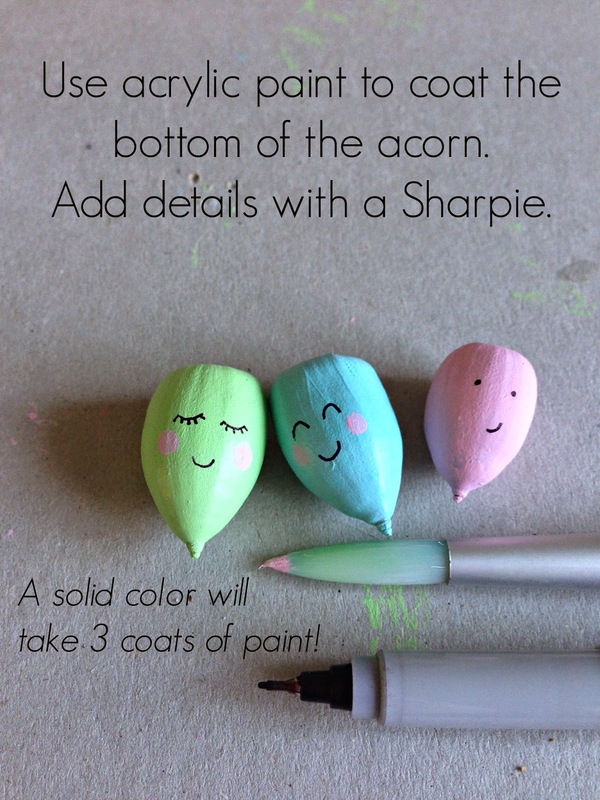 I use acorns in many projects. I have containers full of various types from wherever I travel. I haven't had any bugs and I don't bake them. That's my own experience.